Do you know cheese and pesto works awesome in bread, they makes a prefect pair especially in swirl bread or in rolls. Earlier i dont forget to get store bought pesto but now i do varieties of pesto at home as they very easy to dish out. Obviously nothing will beat the homemade pesto, with fresh herbs and nuts you can easily prepare your pesto quickly at home. 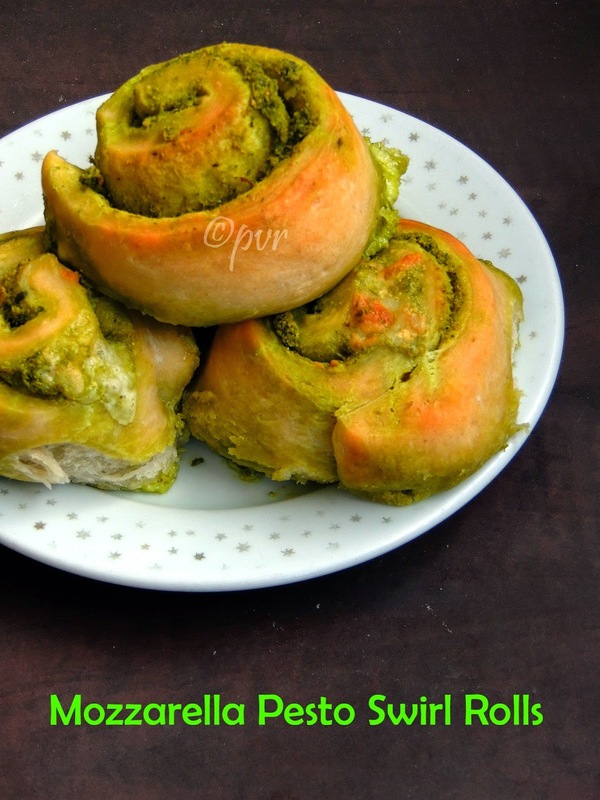 Coming to my today's post, this pesto swirl rolls are easy to make and the addition of mozzarella cheese gives an excellent texture to this beatiful rolls.This bread rolls can be enjoyed thoroughly just like as snacks or simply along with a bowl of warm soup to have filling and satisfying dinner. Pesto filling i used in this roll is Parsley Almond pesto. This pesto gives any excellent flavor to this alluring cheesy rolls which is dangerously addictive.Sending to Srivalli's Anniversary Mela. 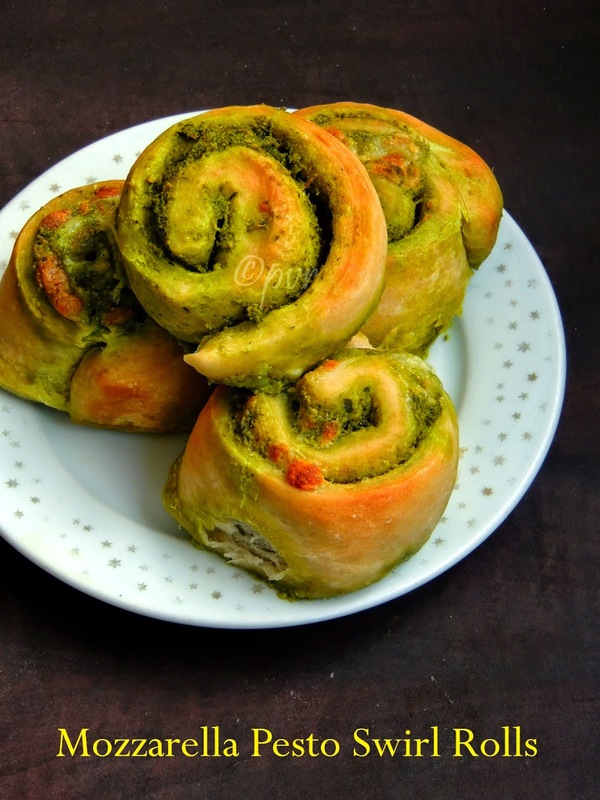 Its really hard to resist to the oozing out melted cheese and aromatic pesto once baking this swirl rolls, needless to say my kids went crazy when they saw this flavourful rolls. Even i couldnt resist to this beautiful baked rolls and we had these cuties even before they gets completely cool. 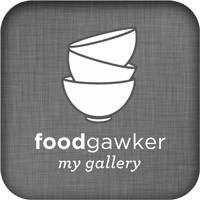 I kept just 4 rolls to H and managed to click some pictures to post in my space. If you love cheese and herbs loaded breads or rolls, then this swirl rolls will definitely satisfy your hungry tummy definitely.This swirl rolls are going to be part of this month's blogging marathon as am running with baking as theme. Punch down the dough and roll it a rectangular disc.. Spread generously the parsley almond pesto and top it with mozzarella cheese cubes. Roll the disc tightly as a log and slice them as 8-9 medium sized pieces. Arrange them in a greased square mould, loosely wrapped with a cling film, keep them again in a warm place for an hour. Preheat the oven to 350F, bake the pesto rolls for 20-25minutes until the crust turns brown. Let them cool a bit, enjoy the slightly warm rolls with your favourite drink or soup. Yes, pesto based dishes in general are so delicious and your rolls with oozing cheese looks irresistible. 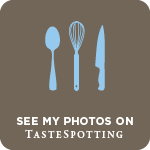 Wow how pretty and so flavorful! Priya they look awesome. This is what I call as a delicious and mouthwatering bread roll. Wonderfully prepared. So beautifully prepared Priya..looks so inviting! Lovely combination. The rolls look fabulous. Those are some fabulous, flavorful rolls. 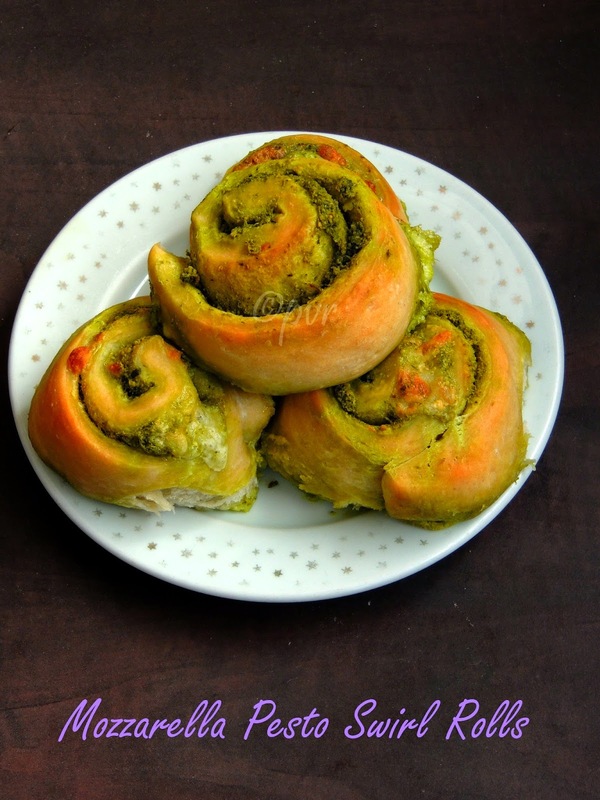 Delicious pesto rolls!! and very appealing with green colour.. Perfectly made rolls,looks yummy,wish to have some.. These rolls were a big it in my house and love your parsley almond pesto!